Showed up on time, did a quality job. They did a beautiful job and I am very happy with there work I would recommend them to anyone. Arrived at the appointed time. Were very professional. Worked quickly and cleaned up after themselves. A job well done. Would recommend to others. The repairman arrived on time,they were efficient, courteous,their finishing time was within the frame time that was quoted and they didn't leave a mess for me to clean up. The work turned out just like Don assured me it would.. I am very pleased... Thank you again. The two company reps that came to perform the work were very professional and courteous. They jumped right in and completed the work ahead of the timing they had estimated. And they even cleaned up! My bathtub looks 100% better. Great service for a one day notice. Employees very knowledgable, friendly and professional. We would highly recommend them to everyone. They did a great job. They were late arriving, but they did call to let me know. Good job. Satisfied and hoping it will last. Excellent alternative to Roman tub replacement. I was amazed at the beauty of the work. My tub is 60 years old and it looks showroom new. These are good, professional people. Don is a man of his word and follows through. Good rates. I would recommend him for future jobs. Prompt at returning calls. Came when they said they would and did a good job recaulking tub/shower. Project: Resurfaced bath tub, floor, tiled in front of tub and 2 counter tops. Dependable, excellent performance, professional - great employees - Everything was left nice, clean and neat after they completed their work. It made it convenient to always be able to reach Mr. Hickman anytime I had a question. Very polite and respectful. Would highly recommend them to anyone and hope to use them again! Had a counter top with water damage. They were able to repair it and refinish it and it looks like new. They are very professional and do fantastic work. They were on-time, very little disruption to our household, and they were done fairly quickly. Review by Gwen B. Memphis, TN. My project was getting my bathtub refinished. I am very pleased, my tub looks brand new! They were prompt and very professional and I would certainly recommend them to others. Great work - had old glass doors removed and tub resurfaced. 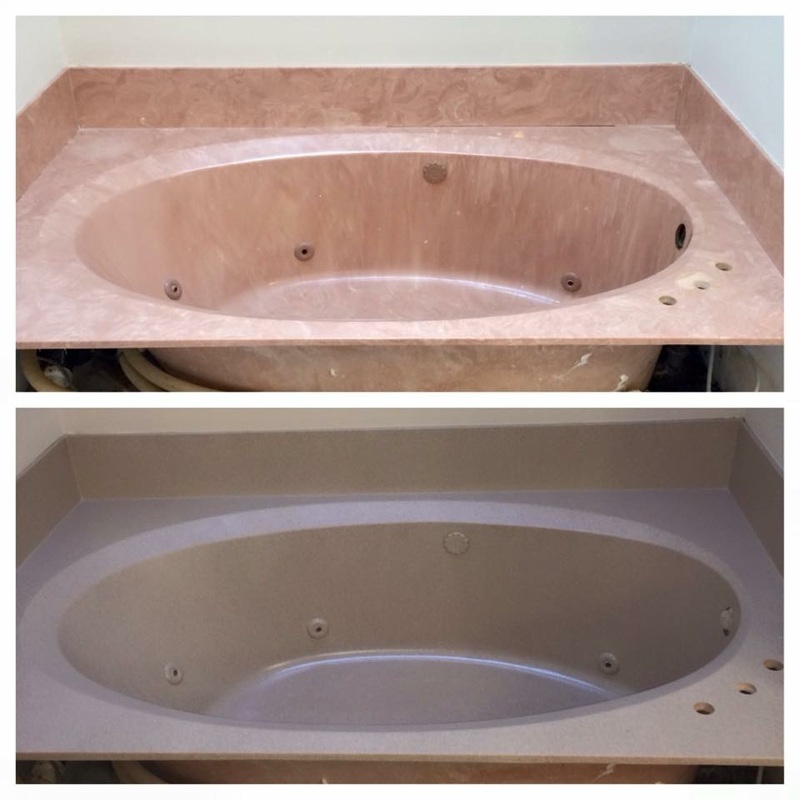 My only wish is that my initial contact would have explained that I could also get the bathtub walls refinished with the same color at the same time - we had to schedule a second trip and pay an additional amount - they did do a great job matching the previous work. The crew took care in protecting the surrounding area - note the smell was harsh, but they ventilated as much as they could. Would highly recommend if you have an old tub in need of a facelift. They were prompt, quick, and the work was done well. I have recommended them for another job, and I will use them to redo my countertops, too. They showed up on time, were very polite and left a very neat work area. The quality of work was excellent and the price was a very pleasant surprise. I will definitely be calling for additional work. I got my kitchen countertops done and have been in LOVE with them ever since!!! The price was too good to pass up! The quality of work can only be described with one word....EXCELLENCE! They look like real granite and no one would ever know that our counter tops previously had all kinds of cracks and chips. I love the new look of my tub. Mr. Hickman was very professional and courteous. He was a man of his word and his work is good. The only thing I didn't like is that the tub scratches very easily, but he came right back out and fixed the scratch with no questions. Don Hickman and his assistant was professional and courteous. They were knowledgeable and worked diligently. I have already recommended them to a co-worker. My tub looks brand new. These two men are an asset and represented your company well. Very fast and beat all other competitors price. Very pleased with my shower. Looks brand new. They did exactly what they said they would do. I'm very pleased with the result. We are in the process of preparing our home to sell and had considered a couple different options for what to do with our kitchen counters.. We did some research and listened to our neighbors who had recently bought the DIY kits. They did the best they could, but less than a week later they were pulling out the old counter tops with the DIY resurface and replacing them with granite! They told us what the granite cost. Yikes! I did more research and found Surface Solutions Unlimited under HomeAdvisor. The work was started on time and we were so comfortable with Don, we just let him in each day to do his thing and he locked up at the end of each day. We had total trust in him and we were not disappointed. The end result is amazing and has transformed a tired 1997 kitchen to one that has "pop" and "wow". The price was about 1/3 of the cost of granite. 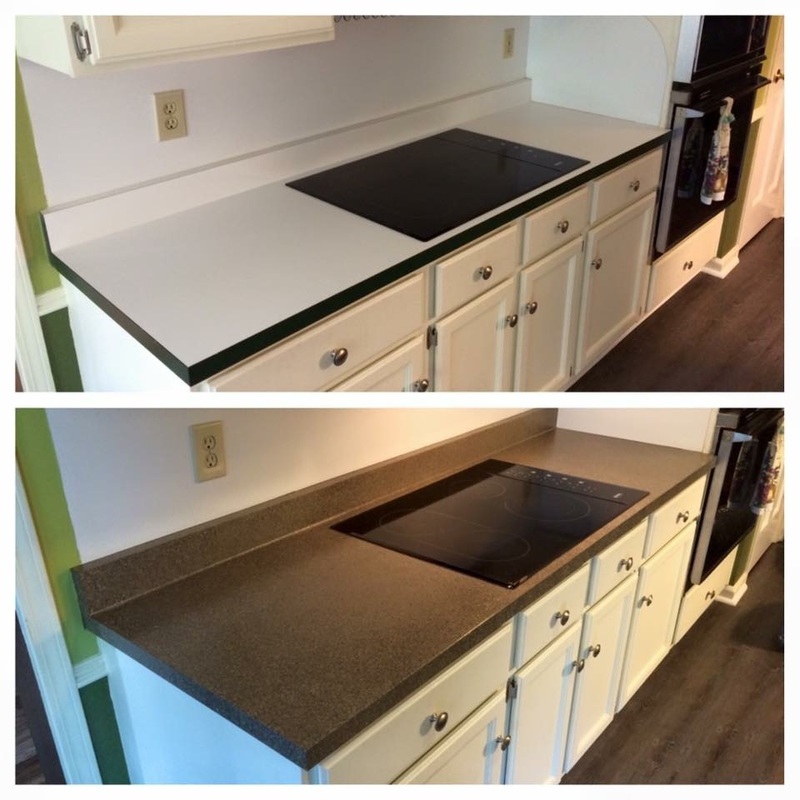 We have recommended Surface Solutions Unlimited to some of our family and friends. I was very pleased with Surface Solutions for my bathroom renovation. 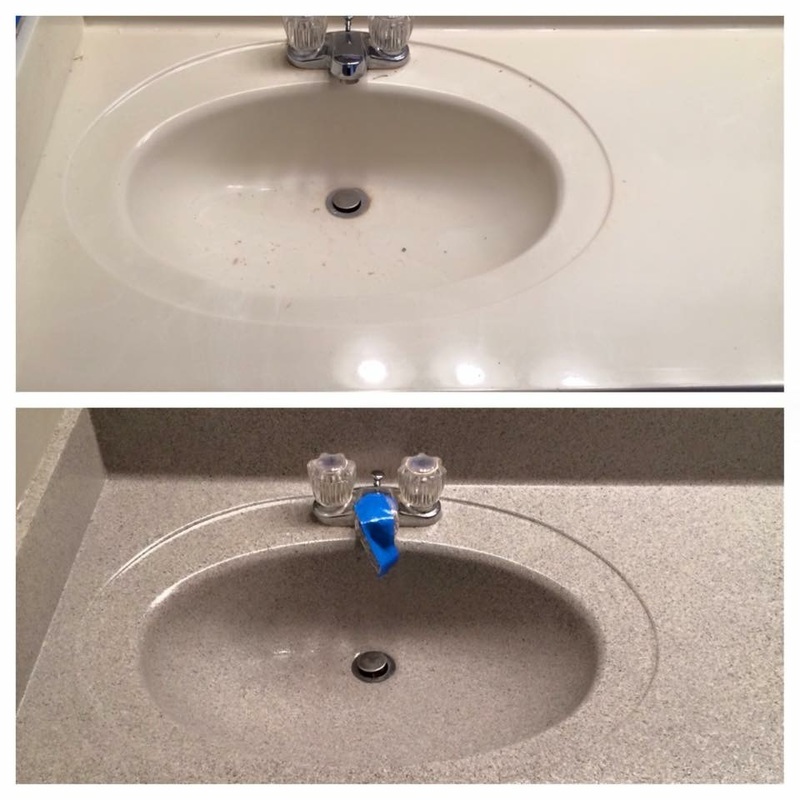 They provided a very reasonably-priced and attractive alternative to bathroom counter replacement. The repairman was polite, efficient, and professional in every way! His work was very good. Answered all questions. I would hire again. It was a great experience and professional job. Unbelievable transformation from a 1953 bathroom of green and yellow tile to a brand new looking monotone tile. Even replaced the tiles with toothbrush and cup holder, and toilet paper holder with a plain tile. I had both the green tub and tiled walls re-surfaced, and all looks GREAT! . Very pleased. Made 100 year old bathroom look brand new. Very fair priced. Highly recommend.